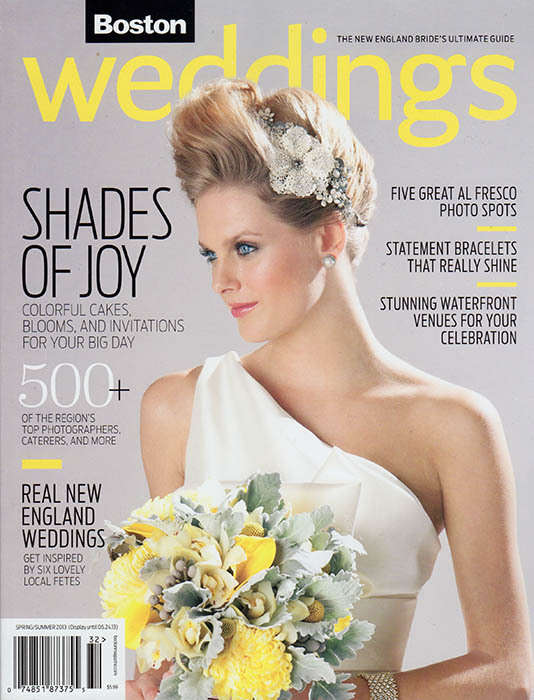 We are honored to be featured in the Boston Weddings Magazine "Ask the Photographer" article. The magazine contacted us about an off-the-beaten-track location for great wedding portraits and here is our pick! 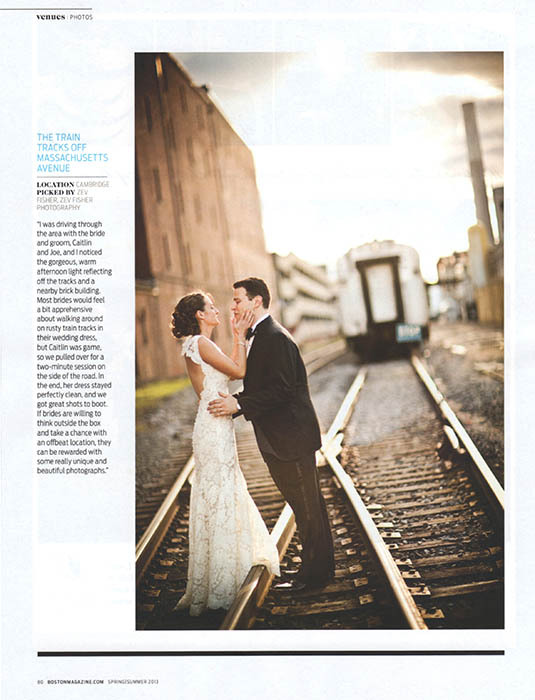 "I was driving through the area with the bride and groom, Caitlin and Joe, and I noticed the gorgeous, warm afternoon light reflecting off the tracks and a nearby brick building. Most brides would feel a bit apprehensive about walking around on rusty train tracks in their wedding dress, but Caitlin was game, so we pulled over for a two-minute session on the side of the road. In the end, her dress stayed perfectly clean, and we got great shots to boot. If brides are willing to think outside the box and take a chance with an offbeat location, they can be rewarded with some really unique and beautiful photographs."